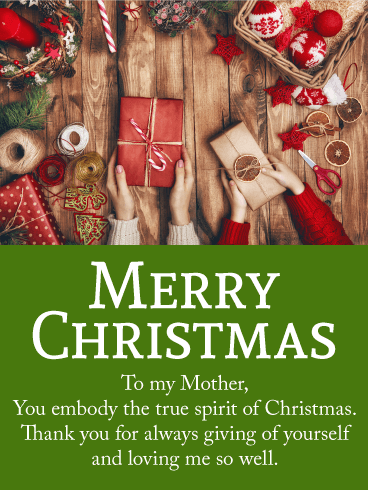 MERRY CHRISTMAS - To my Mother, You embody the true spirit of Christmas. Thank you for always giving of yourself and loving me so well. A pretty pink Christmas card that sparkles with memories of tender moments. You and your mother have stood side by side through the years, and Christmas is a season that lends itself to reflection and sentiment. Let your mother know you cherish the time you've spent together, making Christmas cookies, and sharing laughs. 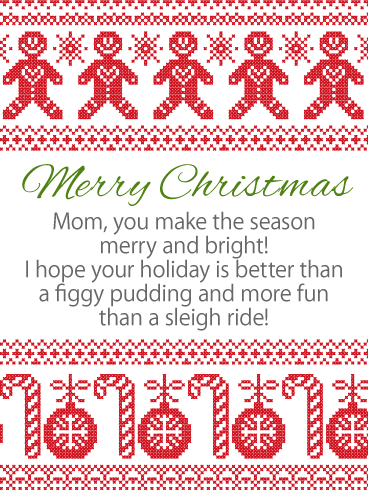 Send a glittering Christmas card to your mother to let her know how much you care. 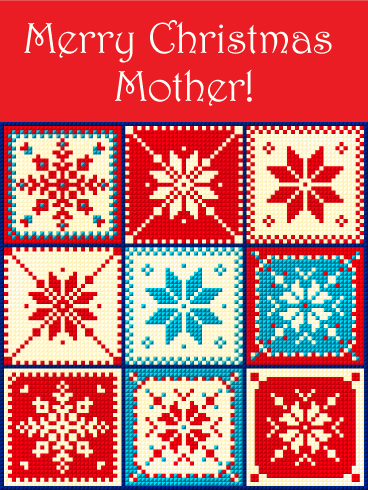 Mothers are like a warm Christmas quilt-cozy and comfy. They wrap you up in love and hugs all year long. 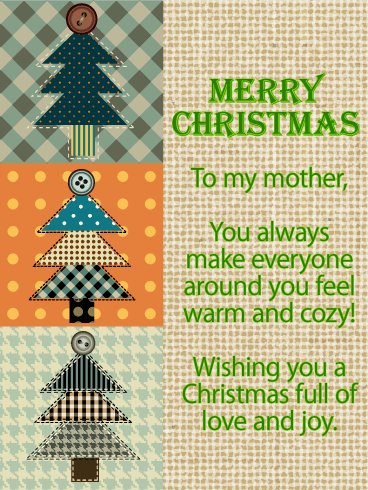 Wish your mother a very merry Christmas with this Christmas tree patchwork quilt greeting card. It is rustic and full of charm with a sincere message of love for your dear mother. A Christmas greeting card is easy to send, and so thrilling to receive! It's a cross-stitch Christmas! Does your mom love country charm? 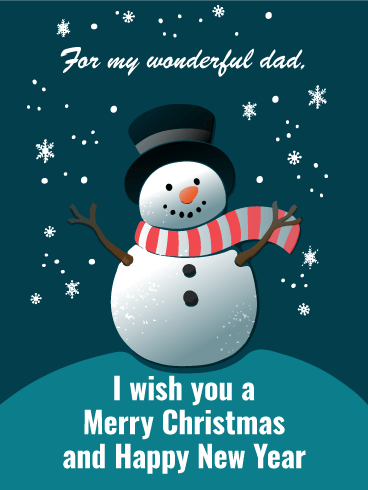 Send her this darling Christmas greeting card to warm her heart. The gingerbread boys and candy canes are stitched in a classic Norwegian style, for a truly unique Christmas card straight from the North Pole! 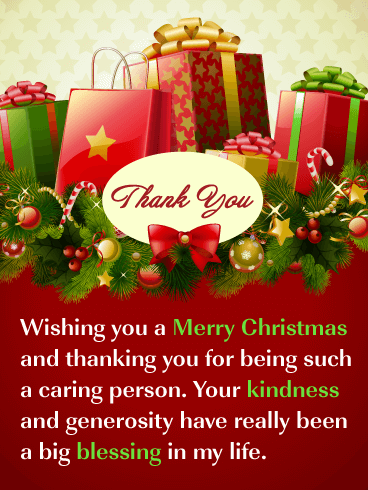 It's a thoughtful way to send Christmas tidings to your wonderful mother this holiday season. A tender wish for a darling mother. A mother's love is rich and abiding. Send a heartfelt message to your own mother this season with a very special Christmas greeting card. A pretty winter bird, and mellow Christmas colors, create a sentimental and sweet Christmas card. Your thoughtfulness will be felt. 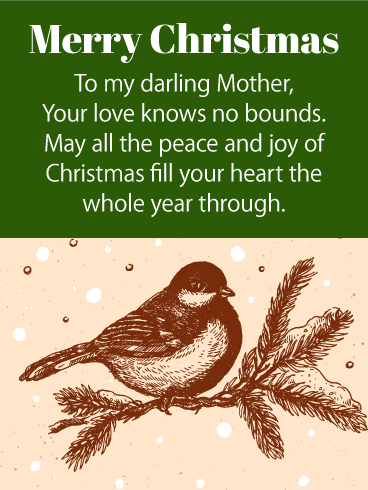 Your mother will love this pretty little bird and warm Christmas greeting. Hope is a precious thing. 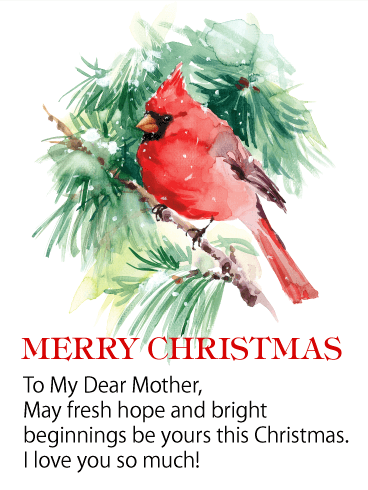 This darling red cardinal symbolizes the hope of the Christmas season. 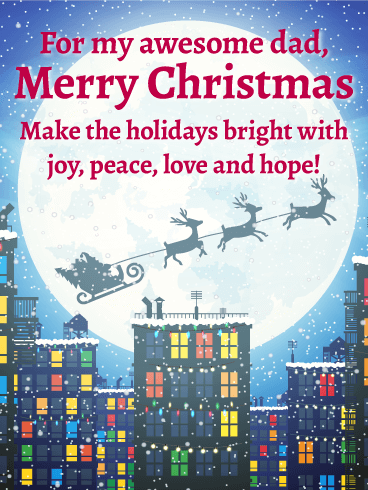 Send your mother a beautiful Christmas greeting card and fill her holiday with warmth and good wishes. Elegant watercolors blend to paint a charming winter scene and create a soulful Christmas card. This bird of happiness will make its way to your dear mother with a thoughtful message of love. 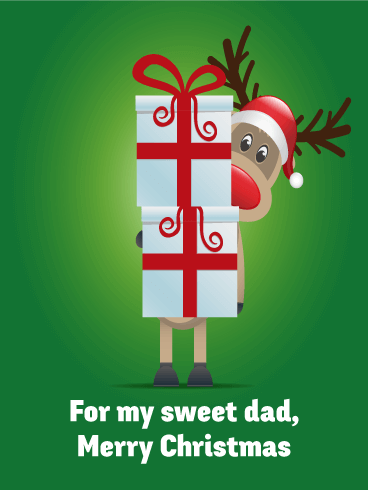 Spread a bit of Christmas cheer with a special Christmas card for your mother. Quilts and Santa and Moms, oh my! 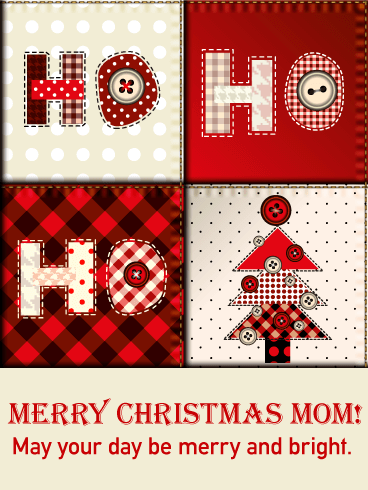 For the crafty mama, this Christmas greeting card is just "sew" perfect! 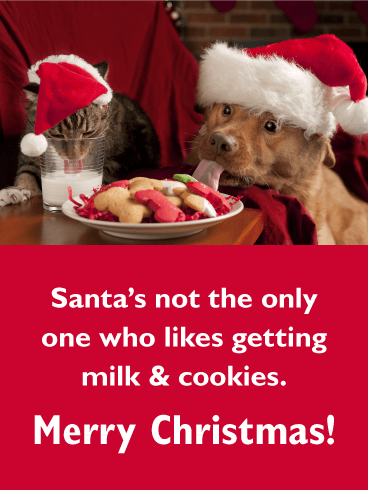 Say "ho, ho, ho!" and "Merry Christmas" to your beautiful mom today. Send some love her way with a patchwork quilt Christmas card to make her smile. Your mom's day can't help but be merry and bright when she gets this fun and thoughtful greeting card from you! Stitched with love, this cozy quilt is the perfect Christmas greeting card for your mother. Beautiful, old-fashioned snowflakes adorn this charming Christmas card. It reminds us of nights by the fire, listening to mom read us bedtime stories while we drink hot cocoa. 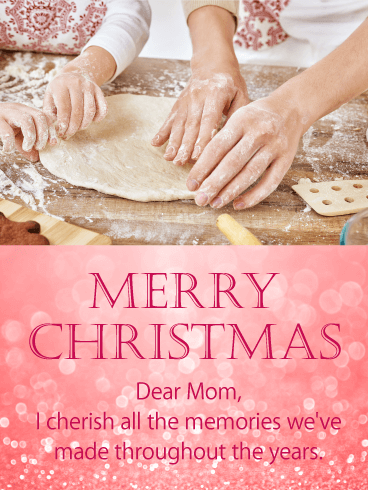 Reminisce with your mother and send her a cozy Christmas greeting. The simple beauty speaks for itself. The thoughtful gesture will be a treasure to her heart.